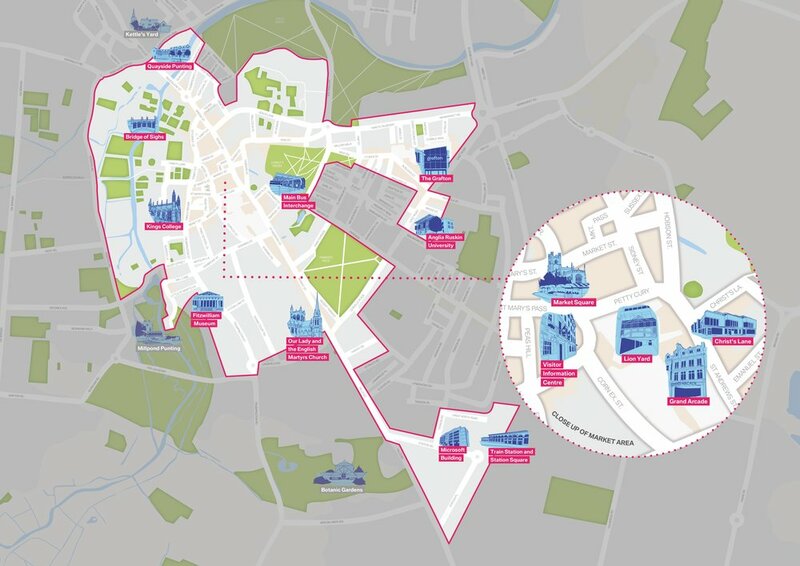 The Cambridge BID area predominantly follows the city centre boundary plus Hills Road up to the train station and Station Square. It encompasses 1400 hereditaments (properties), which equates to 1200 businesses. The map below provides an overview of the area Cambridge Business Improvement District covers. the Business Crime Reduction Partnership operating across the city. We will continue to work closely with the BID on delivery of their safe and secure agenda. Cambridge BID provide invaluable support and help fund projects such as our Taxi Marshals and Cambridge Street Aid which aim to directly tackle issues faced by businesses in the city centre.